Sweet Wood Sticks. Used in many popular Jerk Restaurants in Jamaica like Scotchies, Sweetwood Kingston, Boston Bay Jerk Centre + many more. 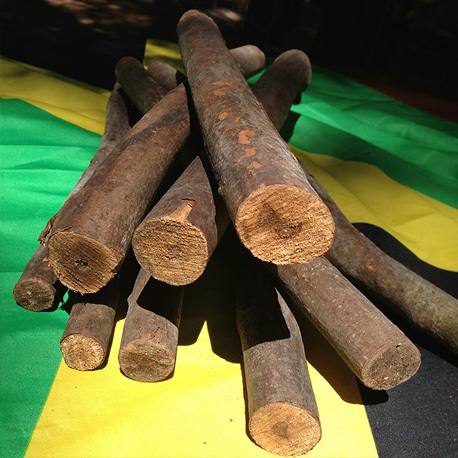 Use as a wood grate to grill Jerk meats on, this wood releases sweet and succulent jerk aroma directly into the meats. Use in addition to Pimento Wood Sticks for completely authentic Jerk Cooking. Add pimento wood chips, leaves and pimento spice to Jerk like the Jamaicans!